Gene cuts a customer’s hair at his barber shop in Champaign, IL. Gene’s Barber Shop owner Gene Ankenbrand has cut thousands of heads of hair! After co-founding Country Fair Barber Shop in 1967, Gene struck out on his own in 1982. His namesake barber shop, located in Champaign, Illinois, has been in business since then. Gene takes pride in the work he does keeping his Champaign neighbors looking good. 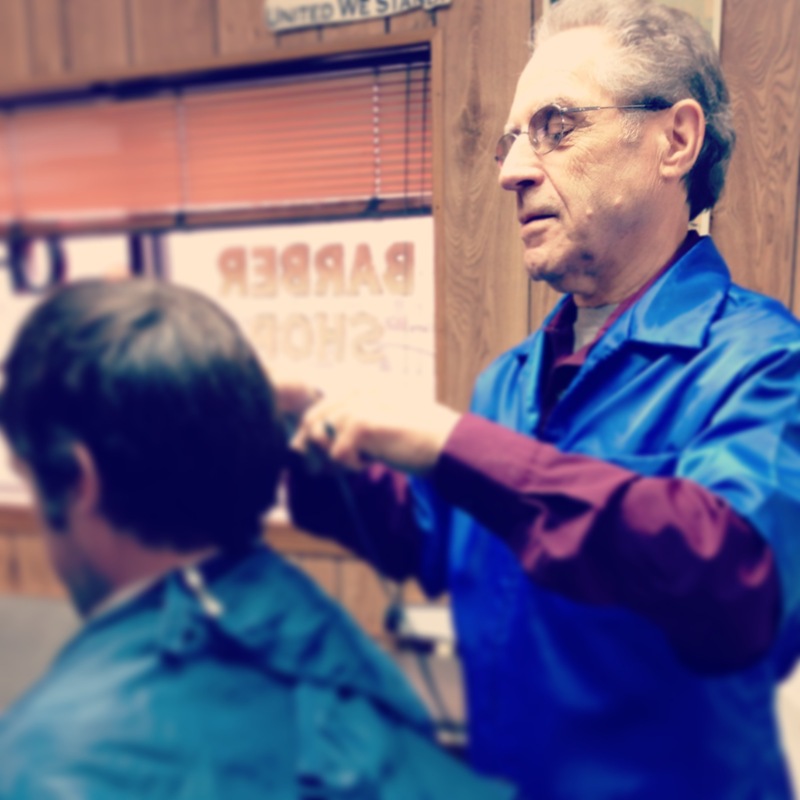 Gene’s approach is direct; he’ll usually start by asking “How do you want it cut?” or “How have you been wearing it?” He works hard to ensure his customers leave satisfied.